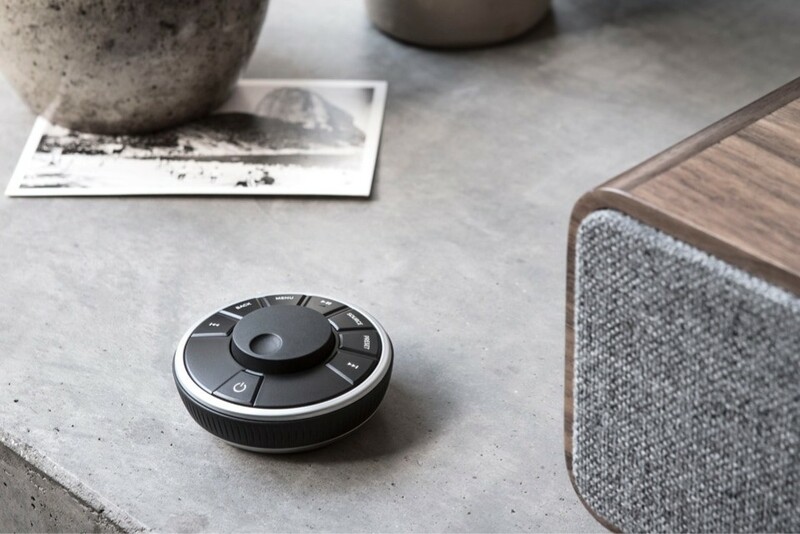 Incorporating knowledge of the past with vision of the future, R5 all-in-one wireless Bluetooth speaker is the perfect system for music and design enthusiasts alike. Ruark Audio R5 All in One Music System is the flagship R7 model scaled down in all but sound to form a system that is simply revolutionary. Ideal alone or as part of a complete home AV solution, R5 embodies Ruark Audio's rich legacy and awareness of evolving technology in a timeless system that is built to last. 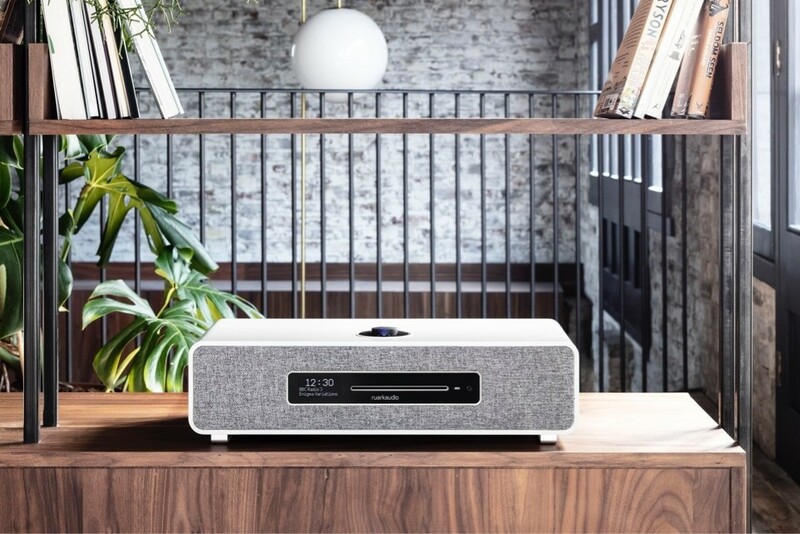 Newest recruit to the multi-room range, it is able to connect wirelessly with up to seven additional Ruark models including R2 Mk3, R5, R7 Mk3 and MRx using the Ruark 'LINK' app. R5’s aptX HD Bluetooth receiver surpasses CD quality from supported devices and access to internet radio stations worldwide reveals an enoromous library of music through services such as Spotify, Amazon Music, Deezer and Tidal. Analogue and digital inputs enable easy connection to other devices. Syncing with other units lets you tailor the sound level around your home whether you want to party or relax. 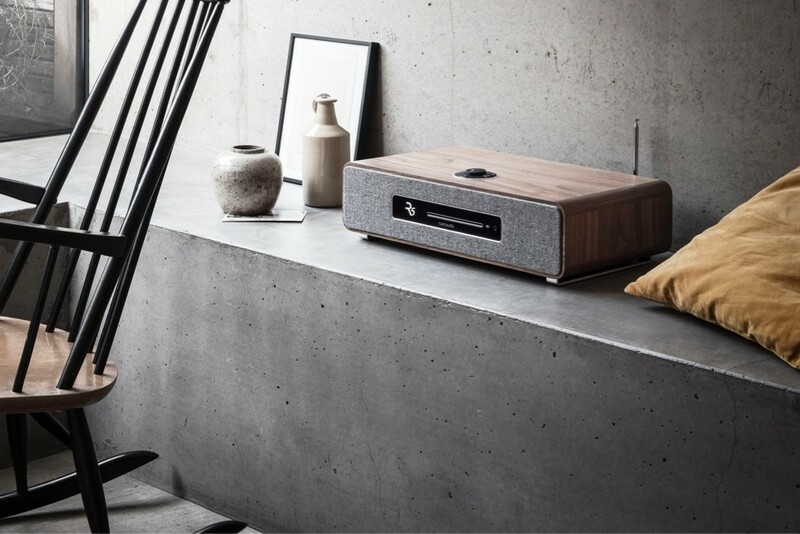 From vision to hi-fi heritage, Ruark Audio are hands-on with every aspect of product design, enlisting endless hours evaluating the finest components available. For instance, R5 uses a high capacity linear power supply with Class A-B amplifiers and active electronics and equalisation; technology usually only found in specialist high value audio equipment. The trademark RotoDial controller lends a slick control system which is simple to use and like the flagship R7, R5 has a matching remote which reflects accurately the main controller. Using supreme radio communication, the remote doesn't need to be targeted during operation. For iOS and Android devices, Ruark LINK app is also available giving total control of R5 and is perfect for organising multi-room set-up and control. 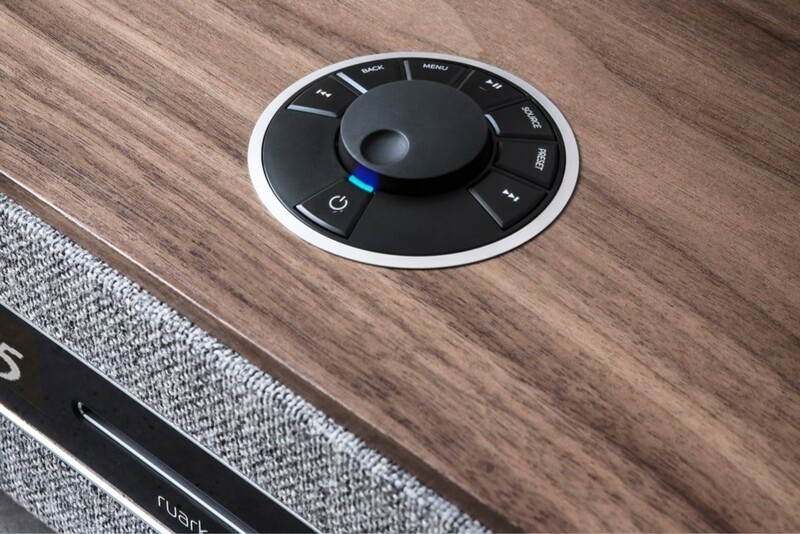 Ruark understands the synergy of cabinet, amplifier and drive unit in producing great sound. R5's enclosure is tuned for peak performance from the drive units and electronics. The speakers are engineered to provide a stunning natural frequency response via powerful neodymium magnet system and lightweight cone assembly. Active subwoofer provides seamless extended bass for natural aural drama. R5’s DAB and FM tuner gives exceptional performance and with DAB+ built in, it is futureproof. For international broadcasts, R5’s can access numerous stations and podcasts globally, so you quickly find stations you will love familiar and new. For the finest sound, CD is still one of the best ways to experience music and R5 features a high specification slot loading player that will make your CD collection sound better than ever. R5 can play CDs encoded with popular audio formats like WAV, MP3 and AAC and further displays track and artist data when it is available. While designed for wireless connectivity, the back panel includes an ethernet socket for direct connection to your network if required. Wired ethernet assures reliability in playback and can be useful if the wi-fi signal from your router is variable or weak. Ethernet powerline adaptors are a sturdy and suitable solution. R5 has comprehensive direct connectivity for enjoying devices such as a turntable, Amazon Dot, Google Chromecast or Apple AirPort Express. R5’s optical input provides a convenient connection point for modern TVs. A USB socket can playback music stored on a memory stick in a range of popular audio codecs. R5 employs the latest aptX HD audio technology which partners with Bluetooth to stream high definition music wirelessly from compatible devices. Bluetooth’s simplicity has made it the superior choice for audio streaming, and it functions with almost all leading music and radio apps including Apple Music, TuneIn and BBC Sounds. Spotify, world-leading music streaming service with a vast library of over 20 million tracks, is built in and with a Spotify Premium account you can select R5 as your playback device and control using the RotoDial, remote control or Ruark LINK app (iOS and Android). Programme, time and alarm status are shown with vivid clarity on R5’s Organic LED (OLED) display, which is chemically bonded to the glass front panel for full legibility and contrast at any viewing angle and brightness can be adjusted to your requirements. R5 is available in a Rich Walnut veneer or Soft Grey lacquer finish with Camira Lead Grey grille fabric.